It’s a dilemma that’s specific to this era: what should you watch on Netflix? With so many special film categories, sometimes narrowing down your choices can be tough. Often users spend more time looking for something to watch than actually watching something. 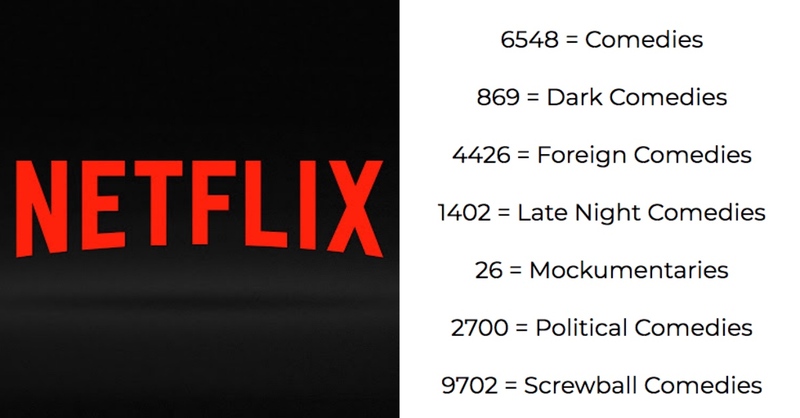 Luckily, there’s a whole list of secret Netflix categories to choose from. Whatever your film or television preference, these hidden Netflix categories have something appealing. There are so many Netflix film genres to choose from, and each one has its own amazing selection of films from Hollywood and around the world. It’s an easy and convenient way to find something new. 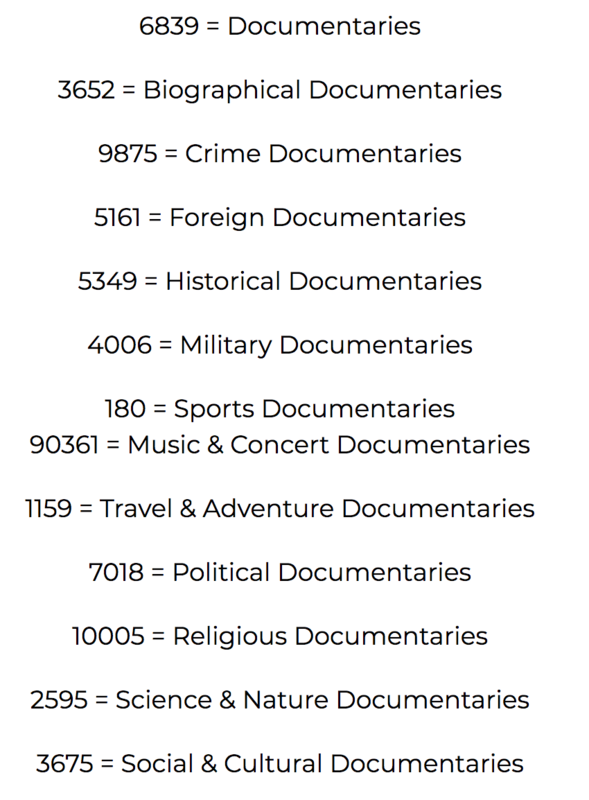 So whether you’re looking for foreign films, documentaries, action, sci-fi, or comedy, all of these secret Netflix categories have you covered. 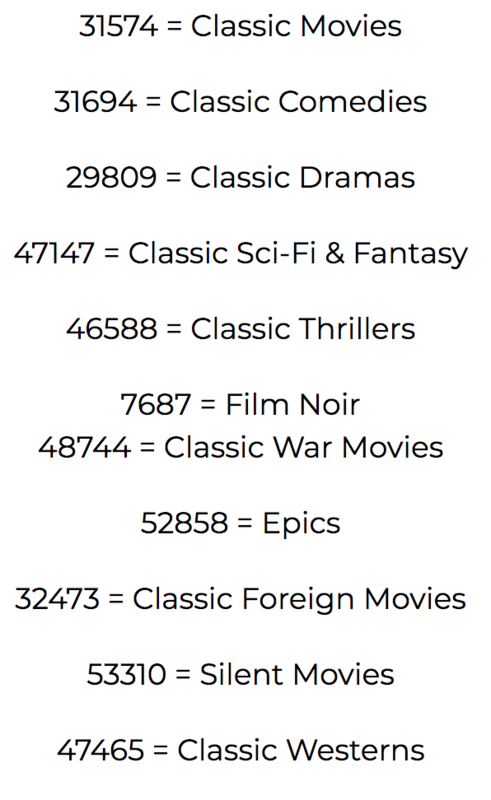 To access each of the hidden Netflix categories, simply type “www.netflix.com/browse/genre/” into your browser’s address bar, then add the corresponding number for the type of film you’d like to see (for example, www.netflix.com/browse/genre/4426 will take you to foreign comedies). 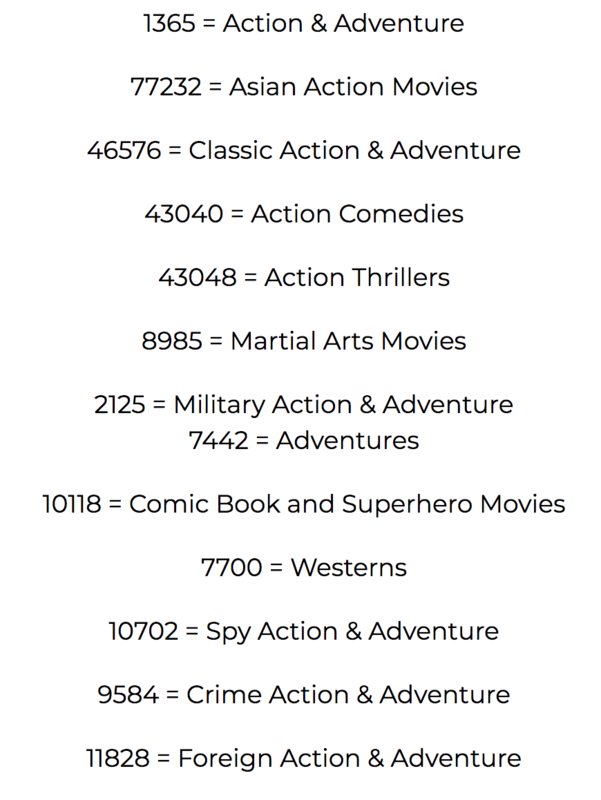 If you’re searching for a rollicking good time, fights, explosions, and maybe a witty one-liner or two, check out these action-packed secret Netflix categories. 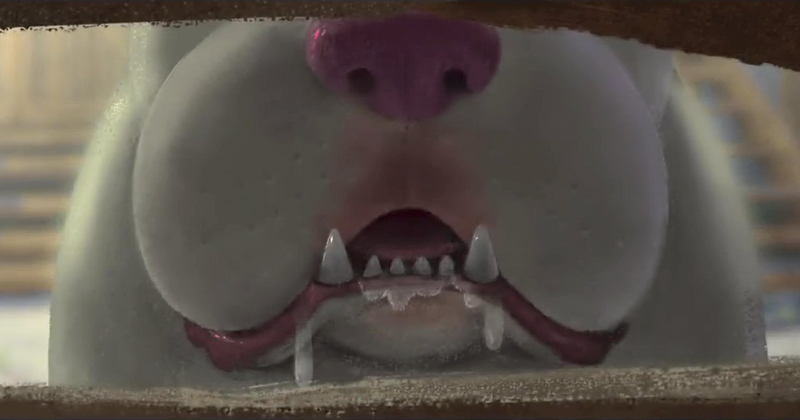 Maybe you’re looking for some lush animation and rich storytelling? 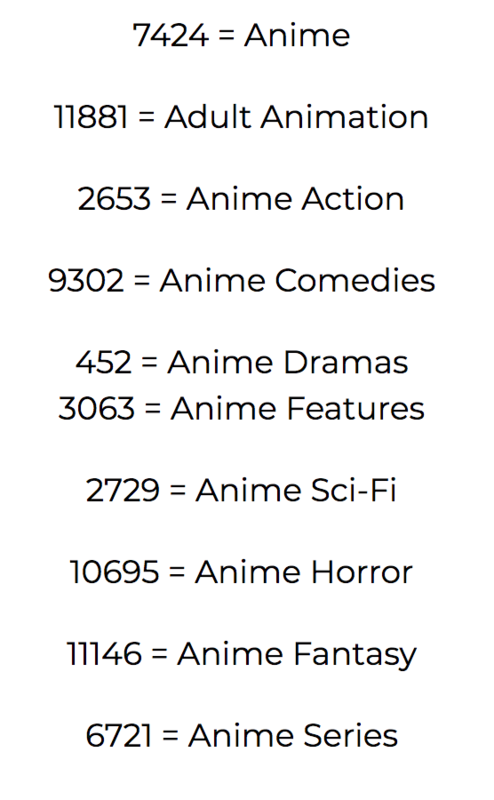 If so, check out any of these anime categories. There are some great hidden gems in these hidden Netflix categories. 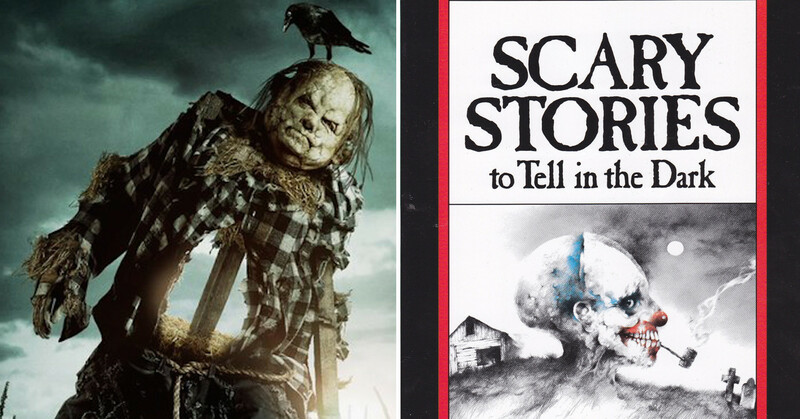 These special film categories are all perfect for family viewing. You can easily find something to put on for the kids, or something to watch and enjoy together. 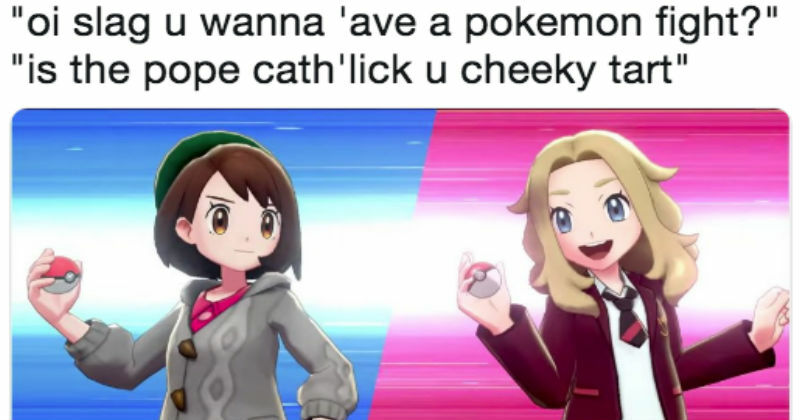 Who doesn’t love the classics? Whether you’re in the mood to laugh, cry, or gasp, these Netflix film genres will satisfy any serious film buff. 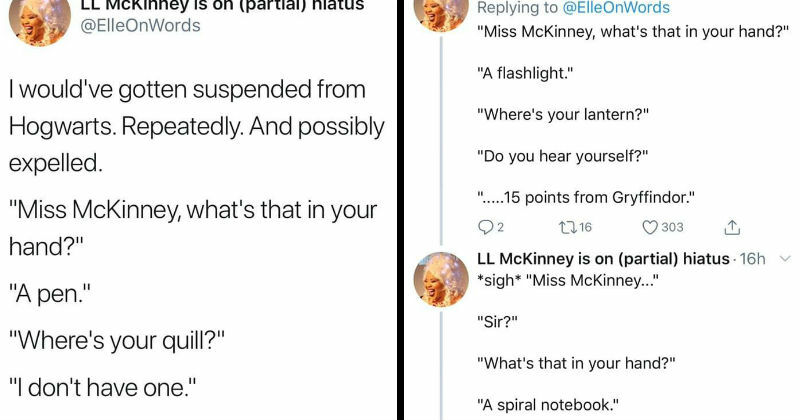 Who doesn’t need a good laugh now and then? 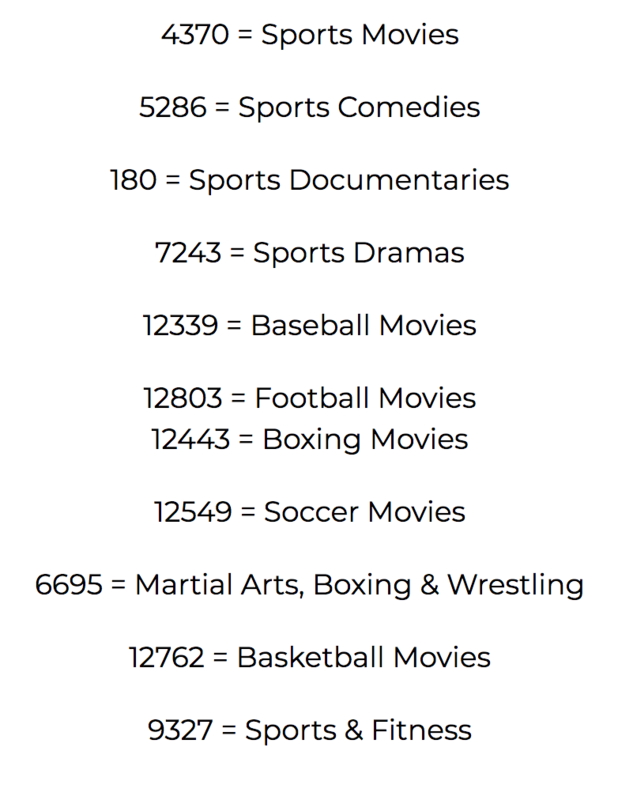 Whatever your sense of humor, you’ll find something that makes you chuckle in this long list of secret Netflix categories. Maybe you’re looking for something real? 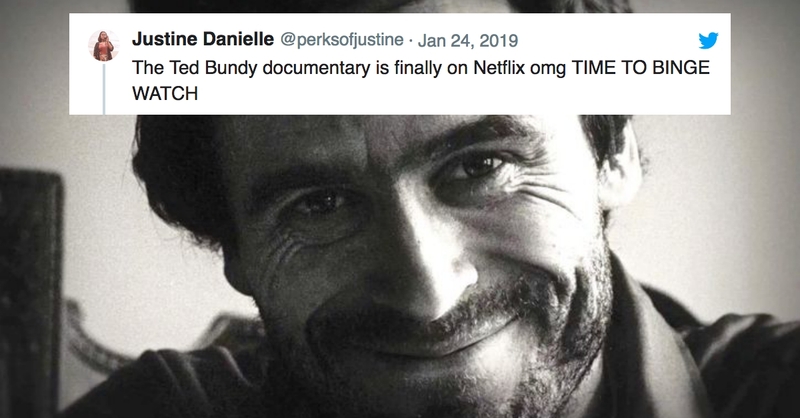 Netflix has an amazing selection of documentaries, and these hidden Netflix categories will help you find exactly what you’re looking for. All of the movies in these special film categories tell compelling, moving, and powerful stories. Check out any of these categories for some great entertainment. There are some amazing films being made all over the world. Sometimes it’s hard to find them, but these hidden Netflix categories make it easy. With so many different special film categories to choose from, breaking out of the Hollywood system and finding something from overseas can be a refreshing change of pace. 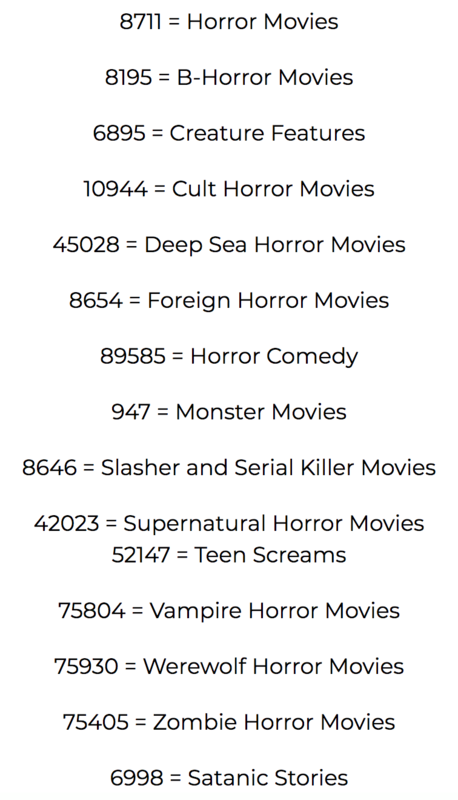 If you’re looking for a good scare, these frightening secret Netflix categories will have something just for you. 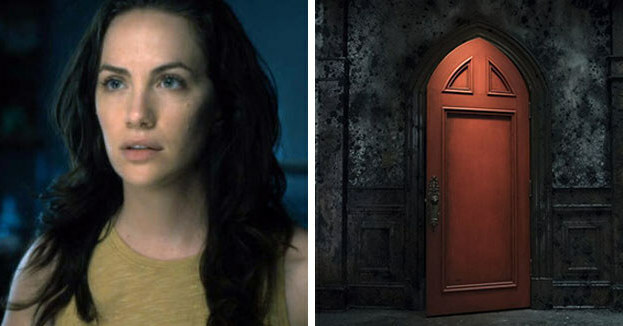 Monsters, killers, and ghosts all haunt these Netflix film genres. These special film categories are for the music lover in all of us. 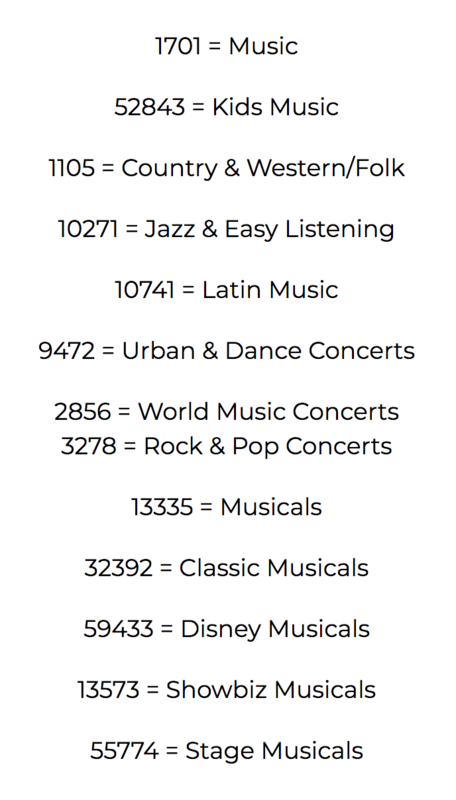 Whether you want to watch a sweeping musical or one of Netflix’s great concert films, these categories are perfect. 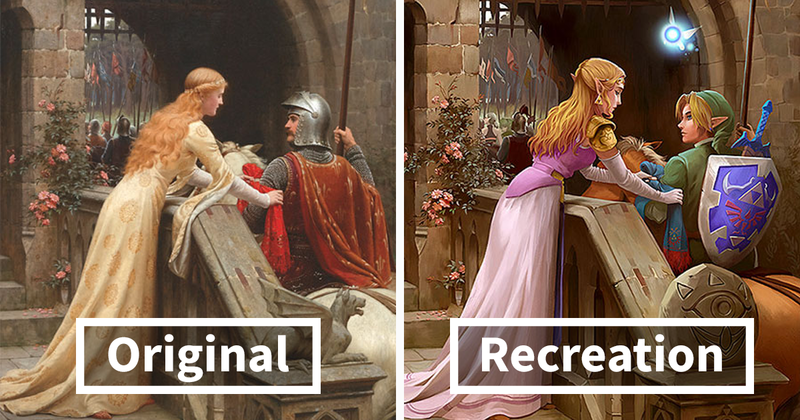 A great love story can make anyone swoon. 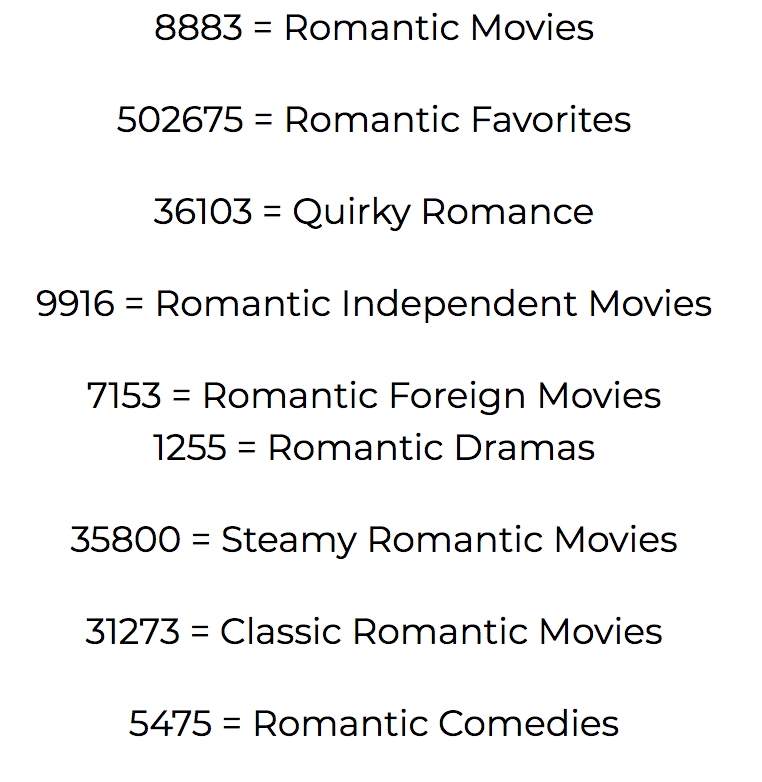 With these secret Netflix categories, you can find any type of romantic movie you’re looking for. 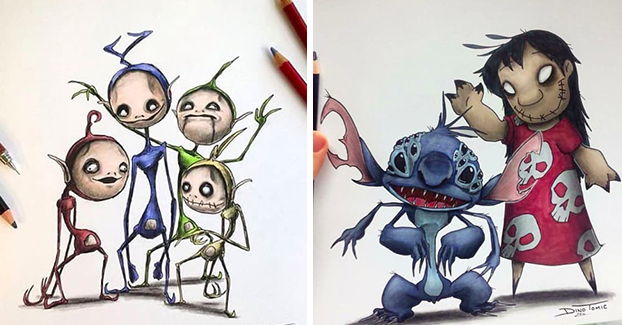 These movies can take you to another world where anything you can imagine is possible. If you’re truly looking for an escape, these secret Netflix categories are for you. A great sports film can be inspiring and heartwarming, but it can also convey great lessons about teamwork and ambition. 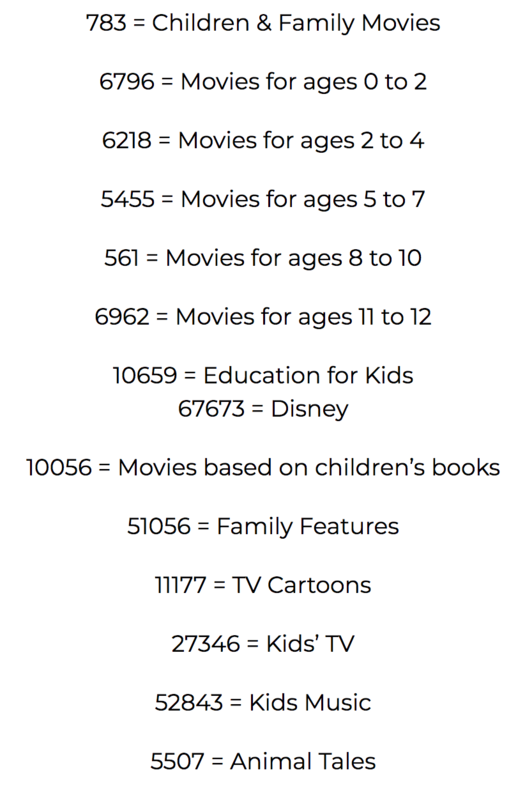 There are some great selections in these hidden Netflix categories. The films in these secret Netflix categories deliver the thrills. Whether you’re getting wrapped up in a mystery or a tense pursuit, these movies will keep you on the edge of your seat. 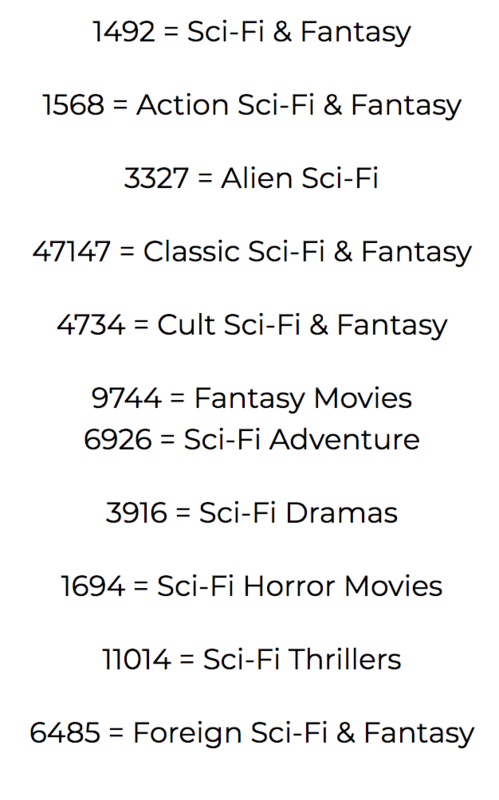 So, what do you think of these hidden categories? Which one do you plan to watch first? 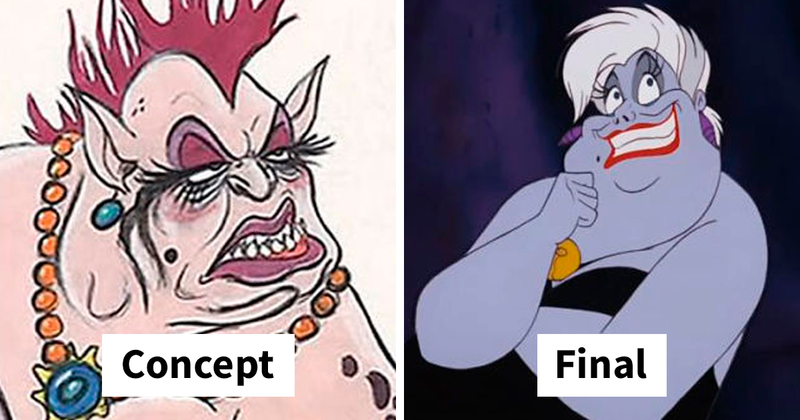 Previous PostPrevious Meet The Man Who Can Cosplay Disney Princesses Better Than Women! Next PostNext Model Recreated Disney Princesses With An Indian Twist And They’re Gorgeous!